Dixie Chicks – Natalie Maines, Martie Maguire and Emily Robison – remain one of the most successful Country music groups of all time. Originally forming in 1989 as a four piece, the group lost two members and recruited Natalie Maines as their lead vocalist in 1995. It was shortly after that the group signed a deal with Sony Music. Over the course of their deal the group has released four studio albums with their last, Taking the Long Way, arriving in 2006. Since the release of Taking the Long Way the group has reunited several times for tours and live performances. Most recently they came to the UK in 2014 as part of C2C: Country to Country and at the end of the month they will be heading back to the UK for a headline arena tour. To coincide with that tour, Sony is releasing all four of the Dixie Chicks’ albums newly remastered on 150g vinyl. Each release features the original artwork and is spread over 2 LPs, with the exception of Wide Open spaces, which is on 1 LP. The sleeves for the records feature images and lyrics making them a very attractive package. They also feature download codes so you can get digital copies of the albums too. The group’s debut album with Maines on vocals, Wide Open Spaces was a juggernaut on its initial release. The album sold nearly 9 million copies in the US alone. It was the album that featured the least input in terms of song-writing from the group with Maguire and Robison have credits on only one track – You Were Mine – one of the best songs on the record. The pedigree of the songwriters on the album was stellar with Maria McKee, Bonnie Raitt and JD Souther among the contributors. The album opened with the punchy I Can Love You Better, the group’s first single with their current line-up. 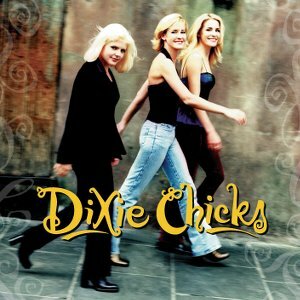 It wasn’t until the release of the catchy There’s Your Trouble that the Dixie Chicks achieved the first number one of their careers and this was followed by two more number ones – Wide Open Spaces and You Were Mine. For the most part the sound of Wide Open Spaces was acoustic-driven Country and their most low-key body of work to date. The melodies are sweet, the vocals are strong and the harmonies are captivating. You can hear the natural chemistry that the group has and when they come together it’s pure magic. The most uptempo number on the set is the piano-driven Country Blues of Let ‘Er Rip. Still it’s the album that introduced them to a global audience and it still stands up to repeated listens nearly 20 years on. For their second album, the Dixie Chicks took more control with the members receiving co-writes on several tracks. Fly took its name from the Patty Griffin track Let Him Fly, which the group recorded as the closing track for this release. The overall sound of the record was more bold than Wide Open Spaces and much more uptempo. Opening track Ready to Run, which was the album’s lead single, was used in the Runaway Bride movie starring Julia Roberts and Richard Gere. Fly spawned two more number one hits for the Dixie Chicks – Cowboy Take Me Away and Without You – out of the 8 singles released from the record. The album was certified 10x platinum in the US and proved to be another huge success for the trio. Sonically it’s much more varied than Wide Open Spaces and the personalities of the group are more present. Goodbye Earl, one of the highlights on the record, is a dark tale of two best friends who agree to murder one of their husbands after tiring of his physical abuse. Maines sings the black humour-filled lyrics with relish and it showed a sharper side to the group than fans had previously seen. Other highlights on the record include the gorgeous ballad Cold Day in July, the raucous Bluesgrass Sin Wagon, and made-for-line-dancing favourite Some Days You Gotta Dance (which was originally recorded by Keith Urban’s short-lived group The Ranch). 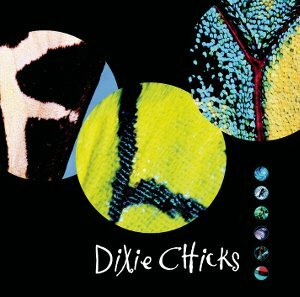 In my opinion Home is the best album the Dixie Chicks have ever released. It’s the one to beat and it’s such a shame that the controversy that fired up in the midst of its promotion hampered its success. The set still sold over 6 million copies in the US but I’m confident it would have done even more had the backlash not kicked in quite so furiously. 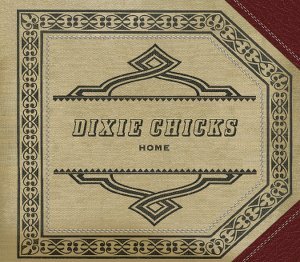 While the group only contributed to three songs on the record in terms of song-writing, Home is the Dixie Chicks at their absolute best. From the gorgeous cover of Fleetwood Mac’s Landslide through to the hoedown Bluesgrass of White Trash Wedding, there’s not a single bad track on the record. Home is one of those albums you can listen from start to finish then start again. It never gets old and it never gets boring. The album produced one number single in the shape of Travelin’ Soldier with two other songs hitting number two – Long Time Gone and Landslide. After that point the backlash kicked in and subsequent singles Godspeed (Sweet Dreams) and Top of the World stalled at radio. It’s a real shame as any song on this record could have been a single and in the right climate, they could have had their biggest success to date. The last studio album released by the group, Taking the Long Way was a sharp change for the group in terms of its lyrics. The album was recorded after the controversy that almost ruined the group in 2003, when Maines said she was ashamed of President George W. Bush during a London show. 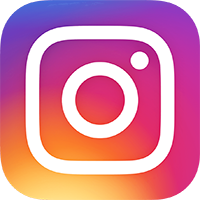 For a number of years after that incident, the group found it was shunned by Country radio and Maines’ remark sparked a very angry backlash. 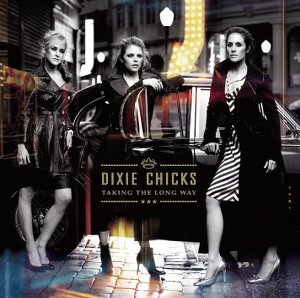 The first single from the album, Not Ready to Make Nice, made the group’s position clear and lyrically it’s one of the boldest songs the Dixie Chicks has ever recorded. The first few songs addressed the difficult period the group had encountered during their backlash and in my opinion it’s some of their best material. The Long Way Round is a defiant response to being asked to recant Maines’ controversial remarks, the acoustic-led Easy Silence is an ode to a lover that offers comfort in the midst of turmoil, and Everyone Knows deals with pushing on while being under intense scrutiny. Elsewhere on the record Sheryl Crow co-wrote the romantic Favorite Year and Linda Perry co-wrote Voice Inside My Head, a song that deals with past romances and regrets. The album comes to a close with I Hope, an track full of hope and optimism for future generations.